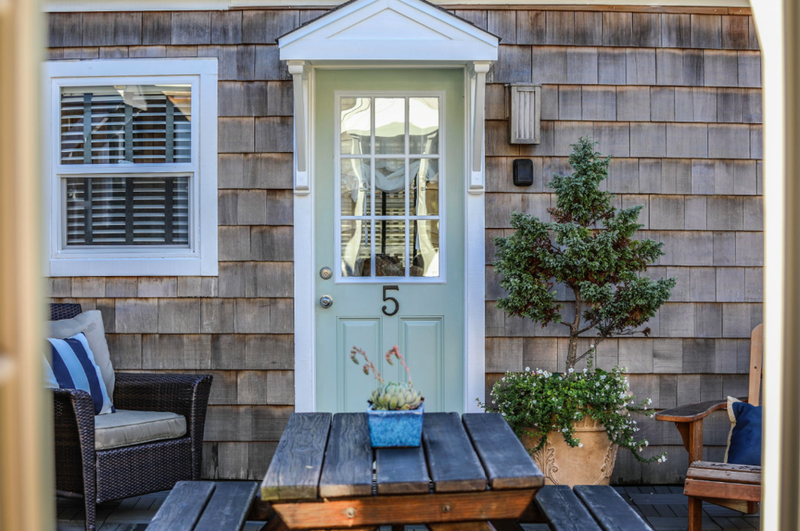 Once the personal apartment of the woman who ran the store/post office that operated here in the 1940s and '50s, Room #5 is unique in that it has a private southern deck with views of the Pacific Ocean. 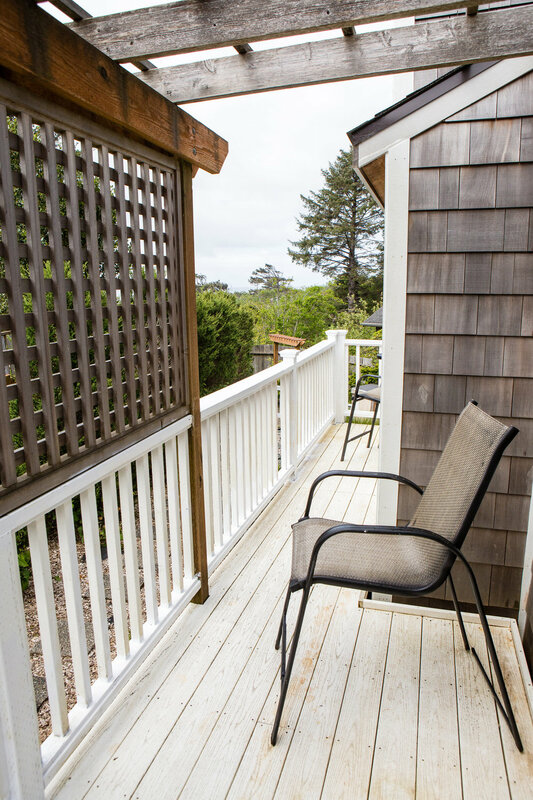 It has a second entrance that opens onto the upper community sundeck. In addition to a quiet private bedroom featuring a queen bed, this charming room includes both a "captain's bed" and a pull-out sofa in the living room. 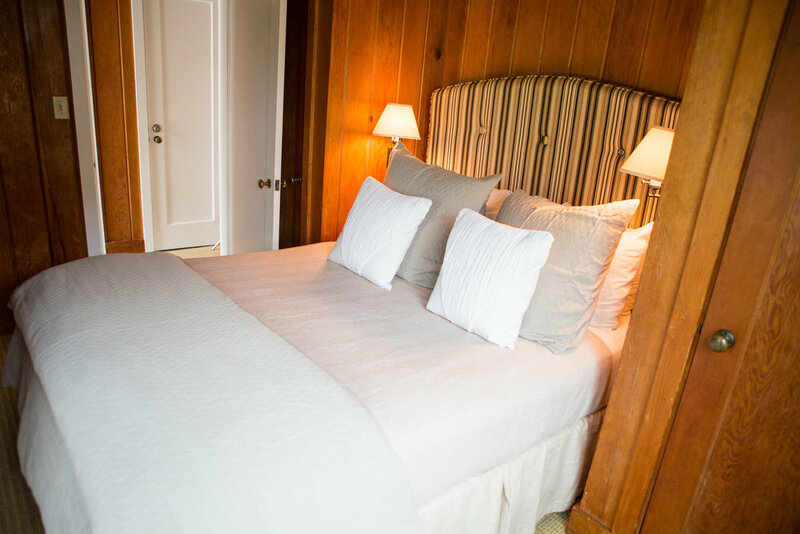 The Inn is located just five miles south of Cannon Beach, Oregon. Room #5 is on the south side of the Inn, with windows looking west and south. Room #5 has a dedicated parking spot in the lower lot, accessible from W. Ocean Lane. 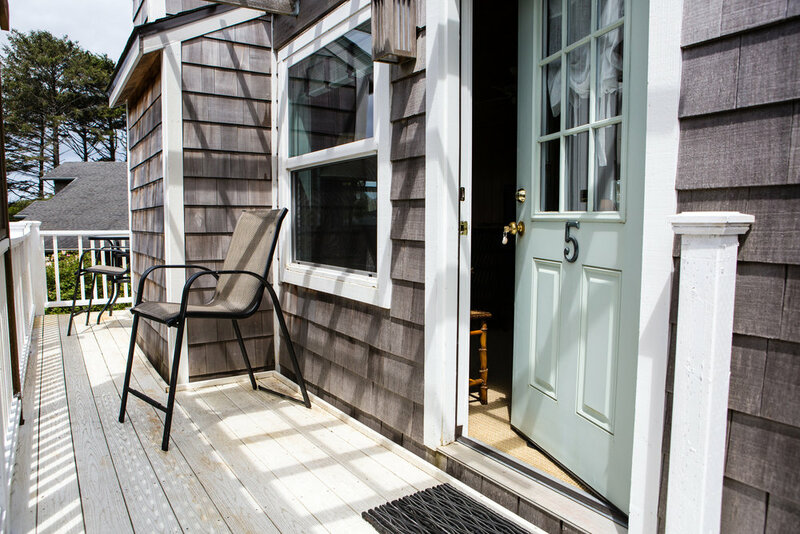 The Inn at Arch Cape is dog friendly and welcomes your well-mannered and supervised dog in specified rooms, including Room #5. Pet fee: $15 per night, per dog. Two-dog maximum.